For your upcoming role in a Jean Luc Godard picture. 1. This Jules et Jim poster. Get it from Bag Apart for £9.45. 2. 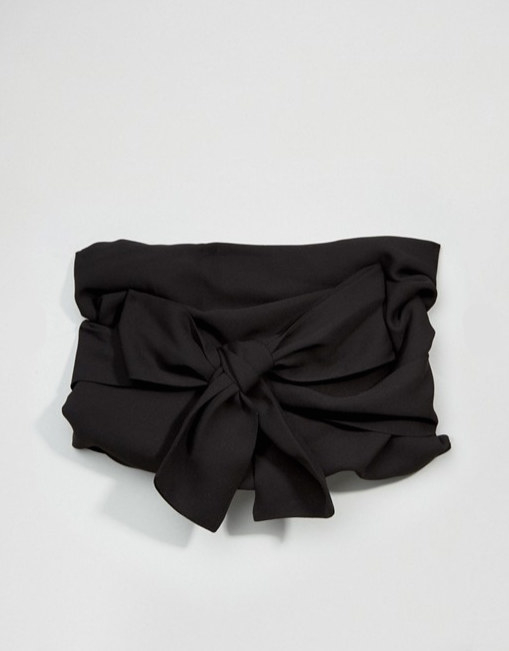 This velvet hair bow. For men to look at as you walk mysteriously away. Get it from My Just Peachy Shop for £5.42. Get it from Sundays Label for £52.43. 4. These cat eye sunglasses. To put on as you wait, expressionless, at a deserted train station. Get them from River Island for £7. The only thing to wear as you run whimsically through a field. Get it from Nobody's Child for £25. 6. This Anna Karina turntable slip mat. To play your smoky jazz records on. Get it from SrySraSmithee for £17.92. So you can swim away after you crash your car off a pier into the nearest river. 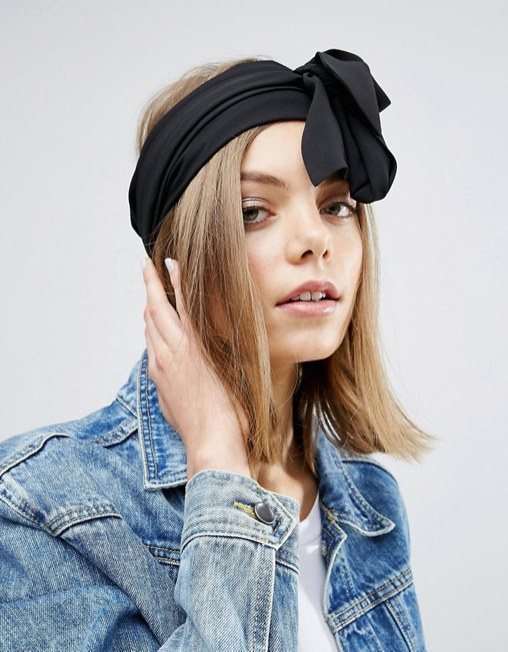 Get it from Boohoo for £18. 8. This New York Herald Tribune t-shirt. To wear as you sell copies on the streets of Paris. Get it from Society 6 for £21. Get it from Monki for £12. Bought for you by your wealthy bourgoisie lover. 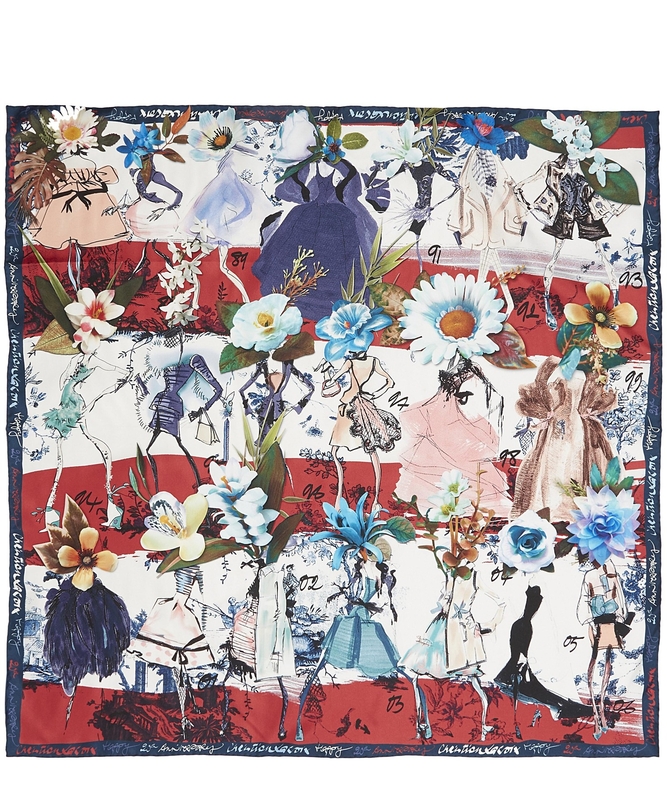 Get it from Christian Lacroix for £155. 11. These Jules et Jim notebooks. For writing down your cryptic yet strangely moving poetry. Get it from Manuche Postcards From for £14.41. Perfect for a quick swimming session and attempts to seduce your husband's brother. Get it from Lipsy for £29. To be worn at a louche angle at all times. 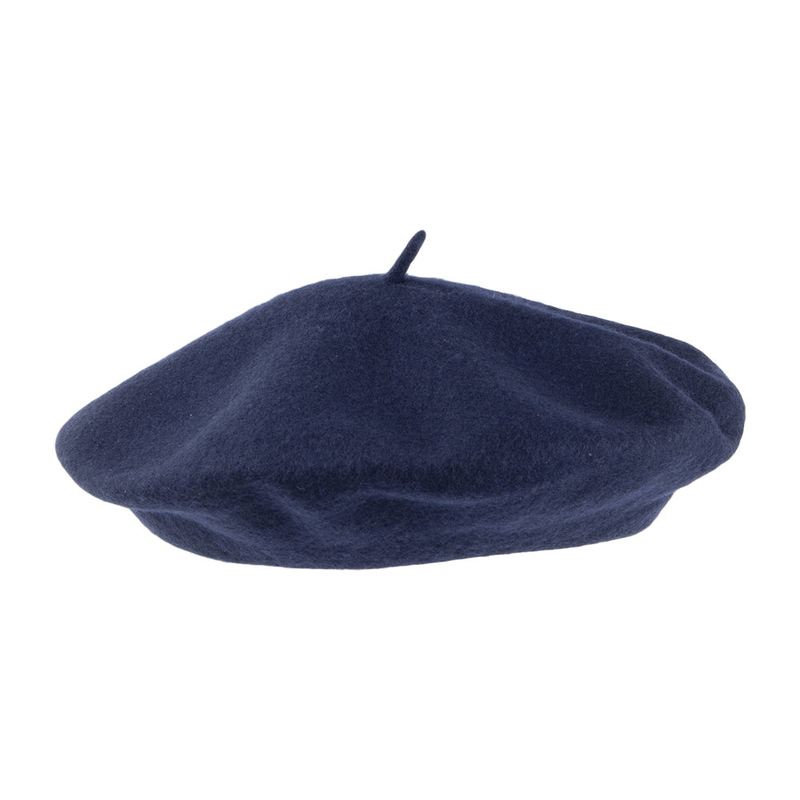 Get it from Village hats for £9.95. 14. This Jean Luc Godard fan club badge. To iron onto your slouchy denim jacket. Get it from Sweet and Lovely for £9.17. 15. This pretty pink dress. Demure enough that no one will suspect your frequent visits to the decadent, high class brothels of Paris. Get it from Asos for £32. To read mysteriously at a dimly-lit cafe. Get it from Franz66 for £43.36. 17. These high waisted jeans. 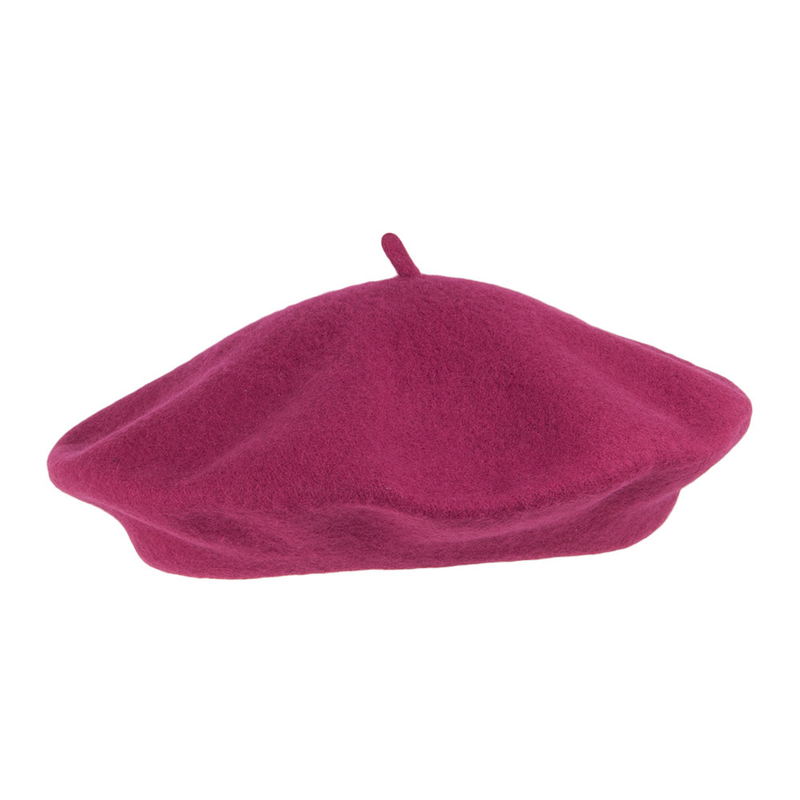 For when you put all your hair up in a beret and draw a moustache on with eyeliner for fun. Get them from Dr Denim for £50. Your finest work. Get it from Old Poster Shop for £20. Get it from Asos for £10. To frame your all-seeing, unreadable eyes. Get it from Eyeko for £16. 21. This button up midi skirt. To rip open in reckless abandon as you dance hedonistically in a local bar. Get it from Asos for £25.50. 22. This "Jolie Laide" perfume. Eau de Jeanne Moreau. Get it from Jolie Laide Perfume for £62.53. Available in lots of colours and ready to be parted down the centre a la Bardot or blunt a la Anna Karina. Get it from Hershesons for £30. Because are you really a French film heroine if you don't have a breton jumper? 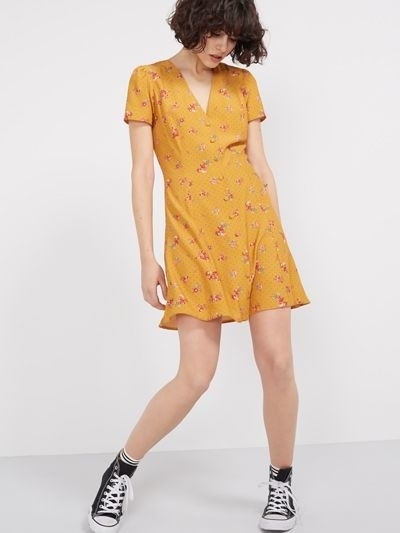 Get it from La Redoute for £39. 25. 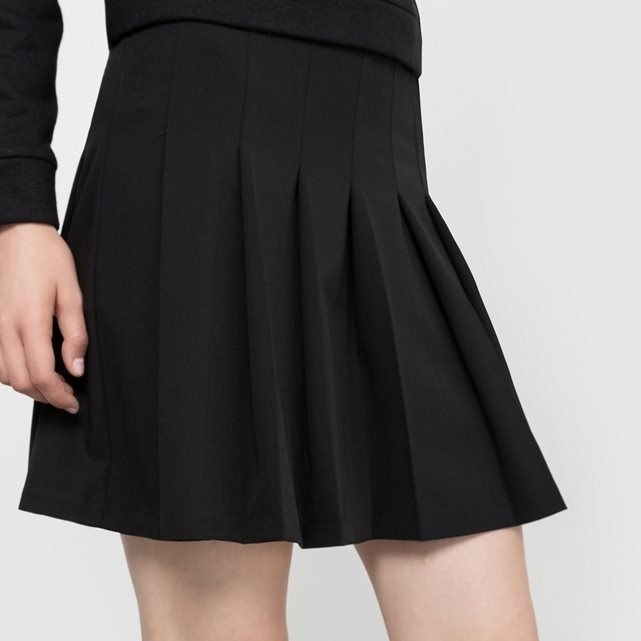 This pleated mini skirt. So coquettish. 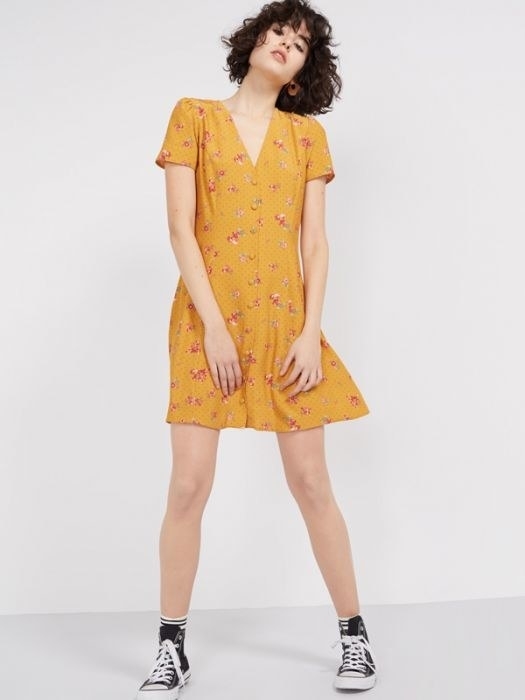 Get it from La Redoute for £9.50. For your bouffant. Get them from Ebay for £1.99. 27. 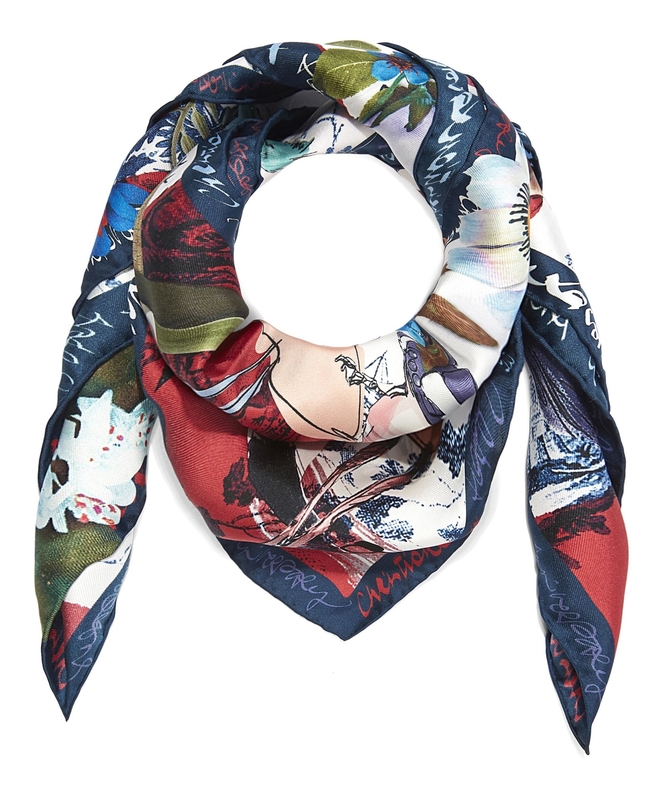 This luxurious velvet scarf. To tie around your bouffant as you carelessly crush a man's heart into the dust. Get it from Liberty for £195.